Of course, these aren’t about the new design, these are lifted from the reaction to the 2008 redesign. The one which, judging by the comments over the last few days, was the greatest thing to hit the internet since sliced bread. 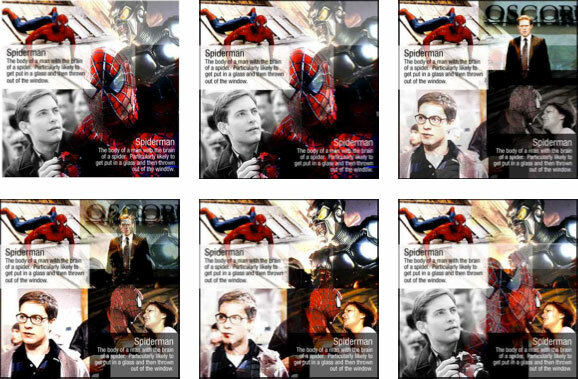 It is just the latest example in what seems to be the perennial instant dislike to major design changes on the internet. Thanks to Twitter, this seems to be easier to track in real-time, and we are getting a bumper crop this week. Changes to the New York Times comment system are also getting a pasting in the thread under their announcement, and, in the interests of balance, I should point out that our announcement of large Facebook app usage figures hasn’t exactly thrilled a portion of our audience at the Guardian. Back to the BBC though, and the upheaval around the homepage redesign has caused me to dig up “The Glass Wall”, a booklet made by the BBC’s new media team about the project to redesign the BBC homepage back in 2002. 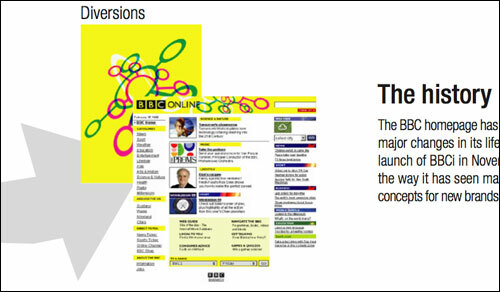 “The Glass Wall” includes a quick overview of the design development of the BBC Online homepage from launch in 1997 until 2001, descriptions of the kind of workshops they had with users in 2002, and a mood map comparing other websites. I note they put Guardian Unlimited as just about as highbrow as you can get, and slightly lacking “fun/personality”. 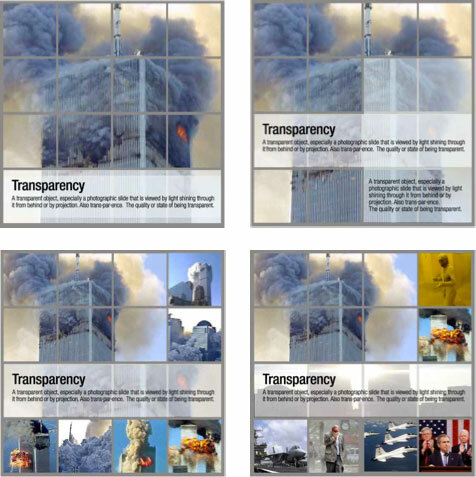 With 9/11 fresh in everybody’s minds - and how the existing homepage design had struggled to try and portray the confusion and unfolding horror - the team explored how a grid-style image promo space could be used to portray unfolding events, as well as promote lighter content like a blockbuster movie. And, with official BBC Doctor Who output limited to webcasts, Currybet’s Law didn’t apply, so Buffy was the cult TV example du jour. Looking back over that old material, I think the new design everyone is complaining about this week does say something about the shift in the BBC’s online priorities, as a result of successive reviews defining an ever tighter remit for bbc.co.uk. 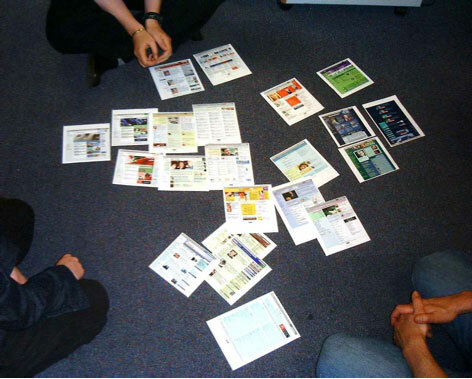 In the early 2000s, the design was all about showing to the user that the BBC website was much more than news, sport and weather, the three things focus groups and card sorts most associated the corporation with. 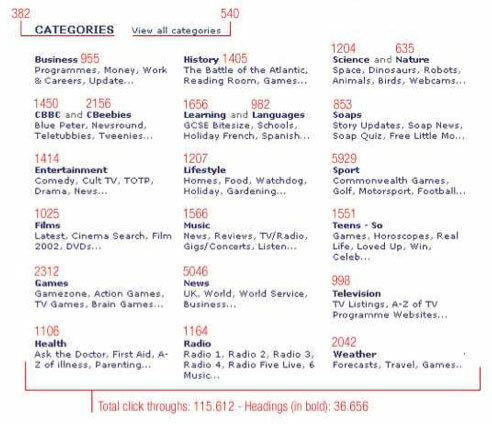 The 2001 homepage featured links to 21 top-level directories, and 77 additional sub-categories. Plus a link to “View all categories” with the astonishing promise of yet more. By contrast, the new BBC homepage has a top-level category structure of a much more manageable 18 ways you can “Explore the BBC”. The trick when faced with a raft of public negative user feedback like the BBC has at the moment is picking out the signal from the noise. My maxim is always to fix anything that is actually “broken” - i.e. non-functional - but otherwise do no knee-jerk changes in response. If possible you should do some considered follow-up research amongst the users you were hoping to please, and check that you have pleased them. And, when you have a massive audience, you have to remember to design for the 80%, and to factor in the views and behaviour of the silent majority. By Martin Belam on 2 December 2011.